Document Security Systems (DSS), which develops anti-counterfeit, authentication, and diversion protection technologies, has announced it has entered into an agreement with Zappar, one of the leading exponents of Augmented Reality (AR) and interactive delivery experiences. The partnership enables the two companies to combine technologies to offer an innovative and unique solution to massively expand the ways consumers interact with brands, create new experiences and build connections. In addition it will provide more data from which businesses can accelerate topline sales growth and protect the bottom line, they claim. In February 2019, Zappar was selected as one of the Top 10 Most Innovative Businesses in the AR/VR industry as part of the annual ‘World’s Most Innovative Company’ awards, curated by Fast Company magazine. DSS and Zappar will use the integration of proprietary secure marking and AR to turn product packaging into an innovative virtual platform of engagement, discovery and product safety. 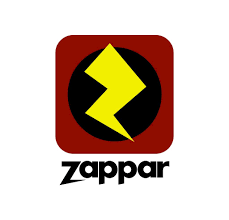 “With Zappar’s technology, packaging is a launch pad for a completely new owned media channel, always on, and controlled by the brand. Product fraud is undermining brand trust and putting customers at risk. DSS technology curbs product fraud while protecting customers and creating a great interactive AR experience,” said Mike Tobin, DSS’s VP of sales, marketing, and product management. “In addition, our combined offering generates a large amount of data for brands so they can learn more about customers, as well as the state of the product in the field. The combination of the physical with the digital is emerging as the new standard, so brands can create engaging new experiences while fighting rampant fraud,” added Tobin. 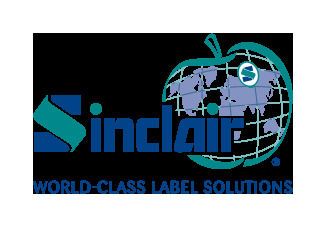 “CPG brands the world over are waking up to the huge opportunity that connected packaging offers as their greatest owned media resource to continue a direct dialogue with users. "We’re on the cusp of an era when AR can take its place among the communications channels businesses and people regularly use,” explained Caspar Thykier, co-founder & CEO of Zappar. “DSS’s anti-counterfeit protection capabilities add another important layer to this story, delivering greater consumer confidence at a time when provenance, authenticity, and brand trust are at a premium,” he added.